Should I convert my older home to an infill? 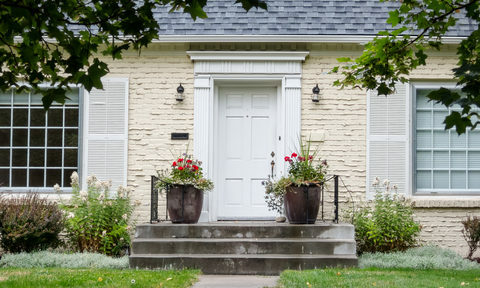 Whether you have been there since day one or just recently purchased it, an older home presents a wide range of advantages and disadvantages to property owners. Infill homes are also a very popular trend– adding to urban density is often subsidized at different levels of government, so more and more projects are appearing in established neighborhoods. While public opinion differs, it is up to you as the property owner to decide if you should convert your older home. Property hunting and home renovation are extremely popular premises for TV shows these days, but they can instill dangerous beliefs in those without real-world experience. A full “tear down” or demolition of an older home may seem cathartic when shown in montage, but the actual process is more grueling and complicated. Choosing between renovation or demolition is often a financial decision, as a total tear down and rebuild can be very costly. Fortunately, properties can be split and two infill homes can be created– selling or renting the other can help you break even or perhaps make a profit. Since most infill properties are built on existing lots that have been split, these new homes tend to be slimmer and more vertical. This makes infill homes perfect for homeowners looking to downsize, but also stay in familiar surroundings. You may have less space to work with, but you can divert the savings to add to your home’s amenities or even a luxury item or two. A smaller home is easier to manage and upkeep and a new-built, modern home will also hold its value longer than a renovated property. As stated above, building two infill homes on a split property and choosing to live in one means you are essentially adding a neighbor. For many, this is the perfect opportunity to have friends or family share the costs of tear down and renovation– and then have them move in next door! For example: retirees could not only downsize and add accessibility, they could also have their grandchildren in the next yard over (and even contribute to childcare). Additionally, an infill project is an easy way to stay in your mature neighborhood and benefit from its prime location. An infill project is extremely expensive, but it can pay dividends if you plan to stay in the home long-term. Innovations in construction and materials mean your new property can be designed with cutting edge concepts that will lower your utilities for years to come. Older homes have higher ecological footprints, so environmentally-minded homeowners should definitely consider an infill outfitted with the latest, super-efficient features and appliances. The features above are only a few considerations out of the many more required for as major of a project as developing an infill property. Questions? Concerns? Contact or visit Parabola Developments today!